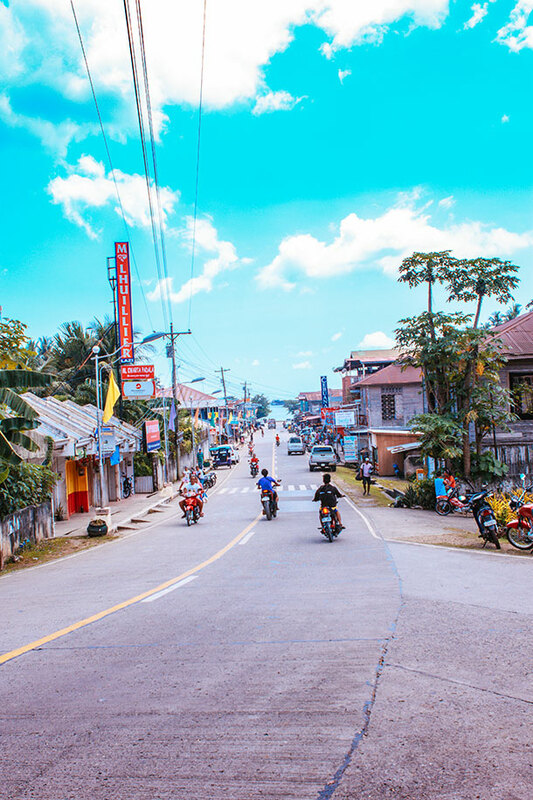 I know that I have been raving about Siquijor a lot lately, well that’s because I have been enchanted by this small but lovely island in the Philippines. 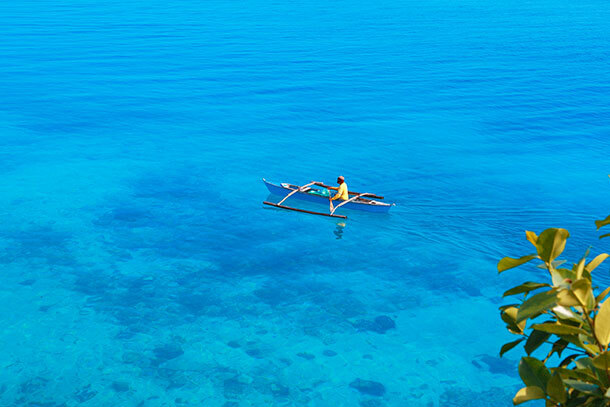 And you will be too once you see our Siquijor Tour In Photos. 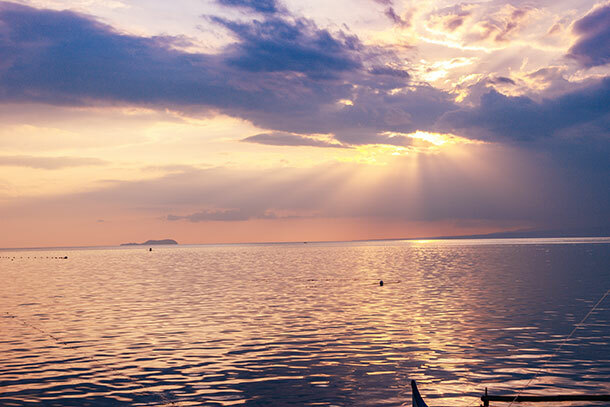 In truth, there are a lot of reasons to fall in love with Siquijor and its gorgeous scenery is just one of it. 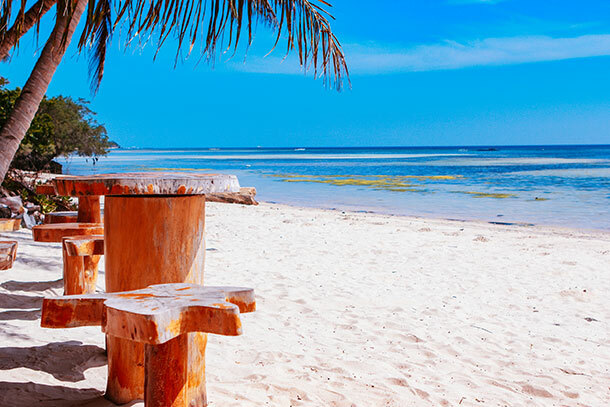 The island’s white sand beaches are definitely one of the few things that will make you want to stay for a day or two. Or even longer! I find it as a place that you’d just want to roll around and enjoy a leisure day. 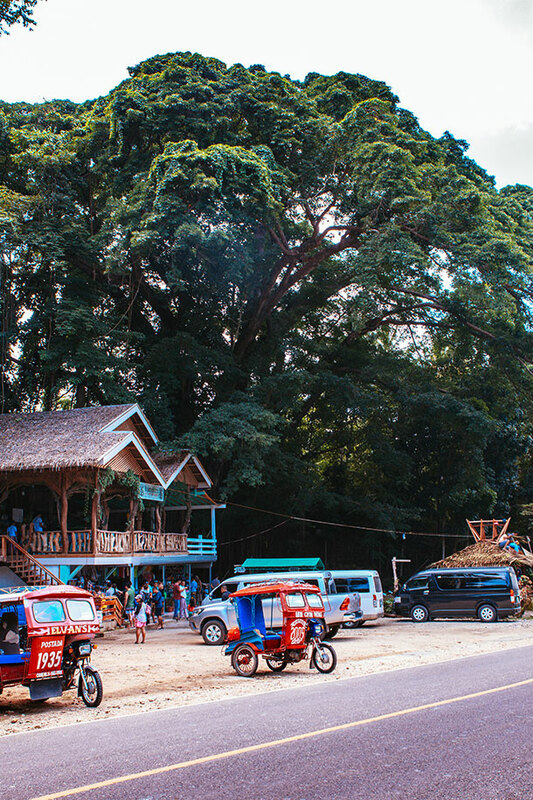 On our 2 day-trip, we have toured around the coast during the Coastal Tour and did some fun and exciting adventure throughout the Siquijor Mountain Tour. 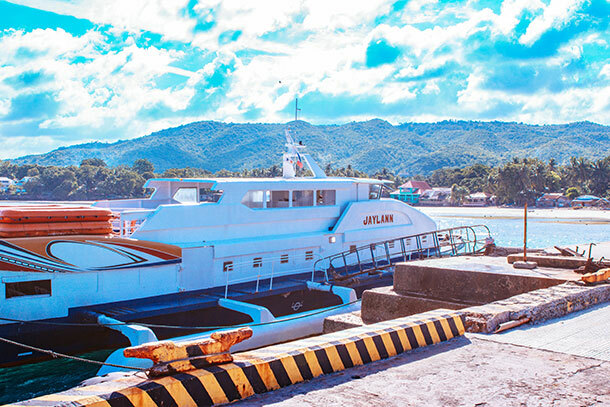 All throughout the trip, we managed to capture lovely photos of Siquijor. These photos are some of our highlights that we would like to share with you to make you want to visit too. This was one of the first view of the island as you dock at the port. 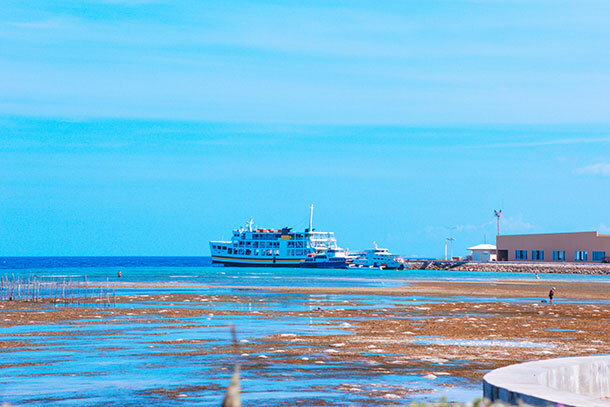 When I first arrived in Siquijor, one of the first thing that I noticed was the white sand beach along the port. This is a seldom sight to be honest. In some places, you’ll be seeing a residential area with crowded beaches. But not in Siquijor. Here you’ll see several vans waiting for guests that are arriving at the port. 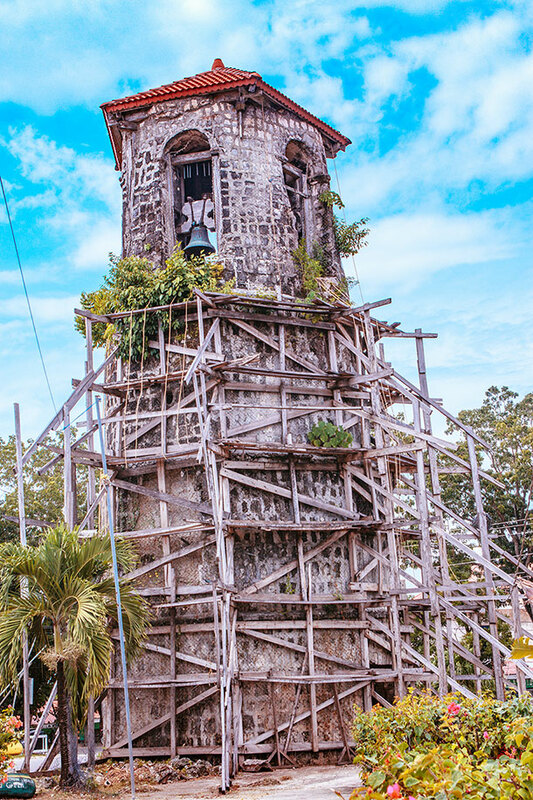 One of the first landmarks you’ll see when you arrive in the island. It was a beautiful day when we arrived and the sun was out. 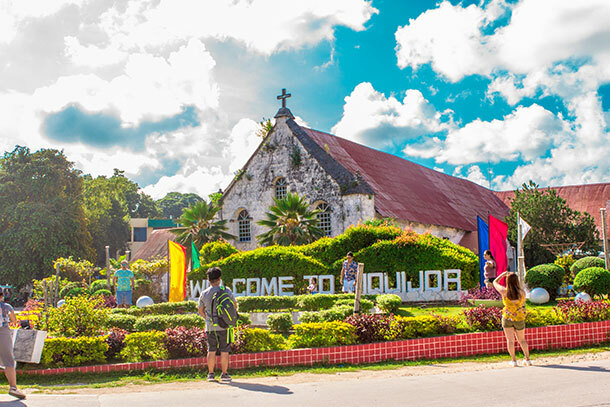 Such a great day to do the Siquijor tour and a remarkable welcome indeed. 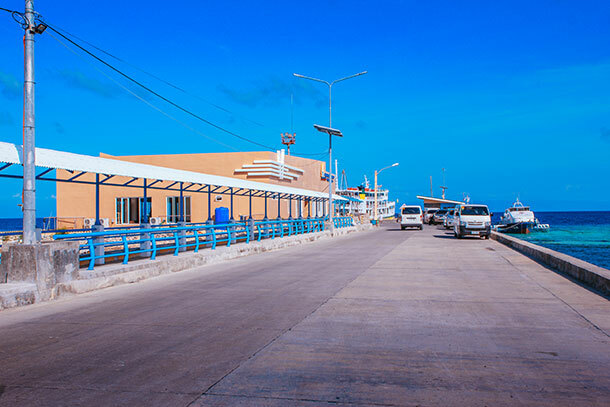 Another view of the Siqujor Port from the ‘I love Siquijor’ Sign. It was low tide when we arrived so you’ll see some people walking around. 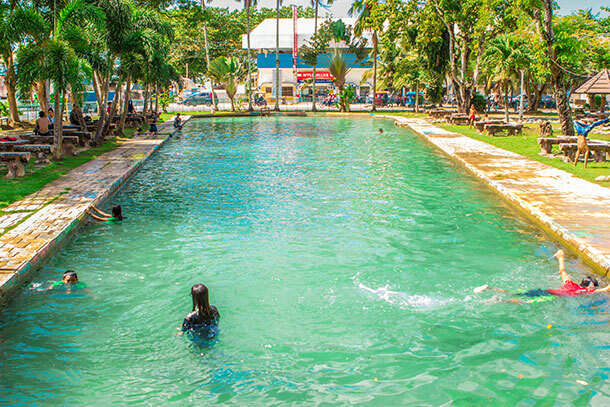 Kids swimming at the Capilay Spring Park. The pool of cold water is a great way to cool off the heat. Though we did not got a chance to swim here like the locals, we managed to soak our tired feet in it. One of the park’s receiving or reception areas. It is located near the centre of the park. 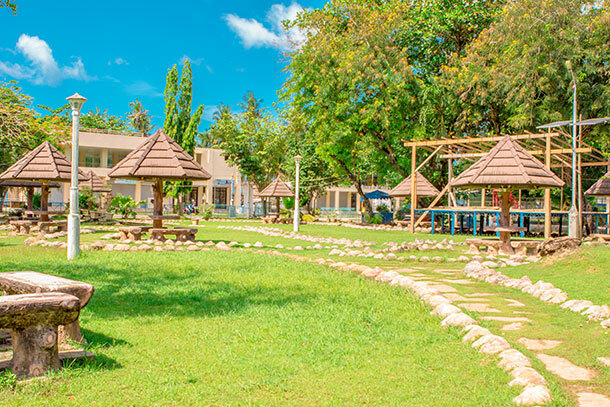 Here are some of the cottages at the park that you can use while there. 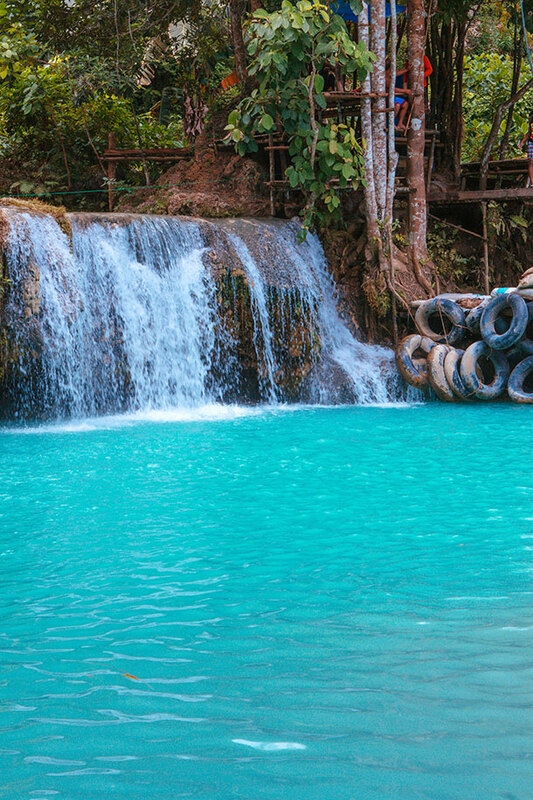 You can leave your things here while enjoying the pool of fresh water. The Balete Bistro where the fish spa can be availed. 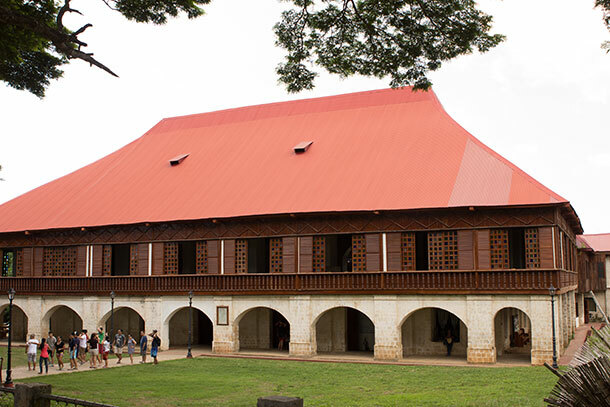 There is a restaurant at the second floor of the structure and some souvenir stalls at the first floor. 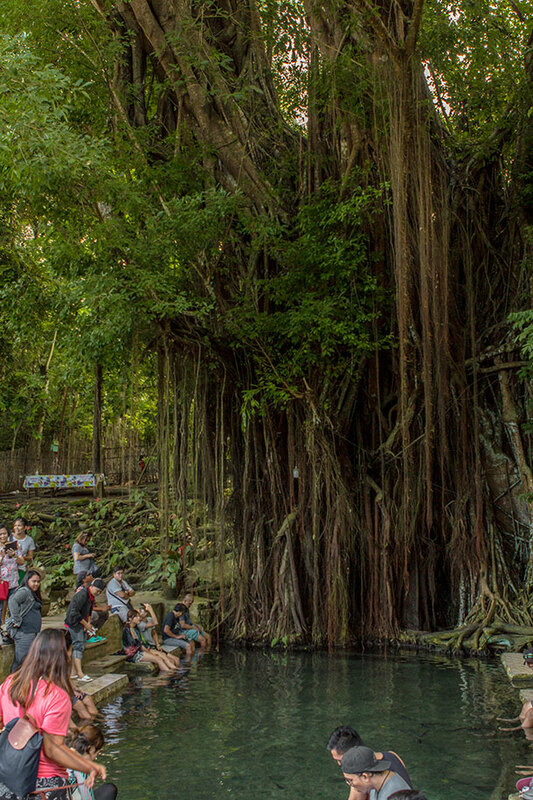 The Balete Tree where you can enjoy a fish spa experience. Balete trees are commonly associated with the myths and mysteries. The exterior of the Hapitanan where guests can try the Broomstick Challenge. View of the Lazi Convent. The Lazi Church was being renovated when we went there so we did not get a chance to see inside. In front are some tourist too taking photos with the convent being their background. There were workers inside renovating but they still allow guests to enter. Their work was mostly on small stuff at the moment and it wasn’t unsafe at all. Our view near the eatery where we had our lunch. It was just near the Lazi Church. 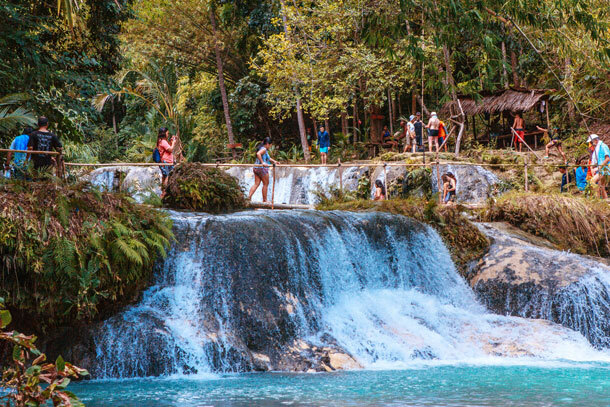 Locals and tourists enjoying the Cambugahay Falls, one of Siquijor’s popular gems. 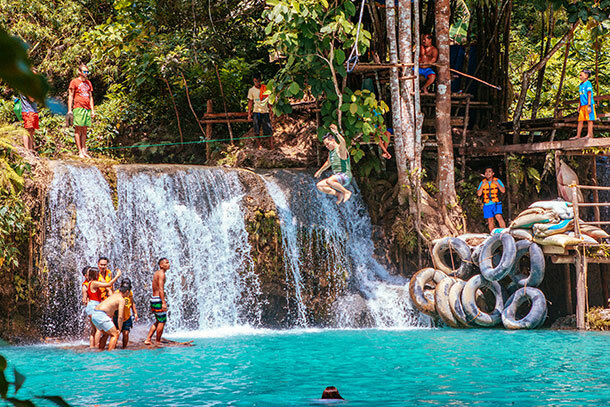 On this photo, you can see locals looking at one person as he jumped using the Tarzan Swing. The second and third level falls. Nobody was actually swimming on the second level, but on the third level you’ll see people swimming here. And some would even do some waterfall jumping. Another look at the falls with its blue-green waters. 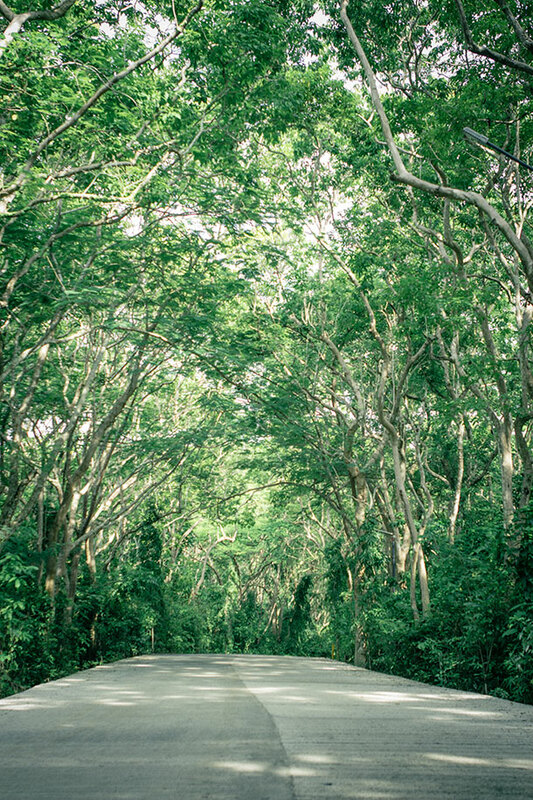 The Molave Manmade Forest with its enchanting canopy of trees. This is a great stop for IG-lovers out there. 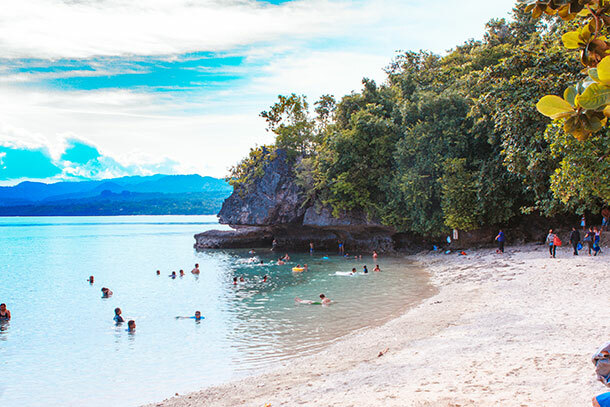 The beach of the Salagdoong Beach Resort with its gorgeous blue waters. They had several water activities you’ll enjoy when you visit. Another area at the beach resort where guests are enjoying themselves. View from the Cliff Diving Area. One will definitely appreciate the blue of the ocean and how clear it is. I certainly did! 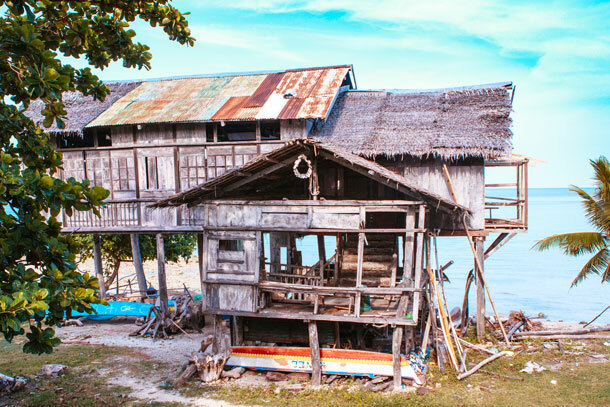 The oldest standing house in Siquijor. This is said to be more than a hundred year old. 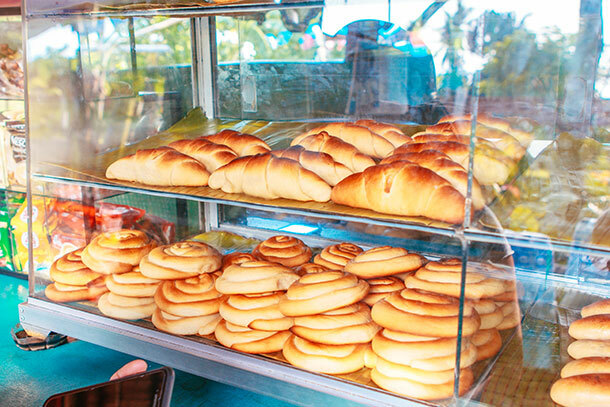 Freshly baked bread from Pan De Bisaya. The bread are baked outside using an old and traditional style oven. You can also see the workers behind the stall preparing the dough. 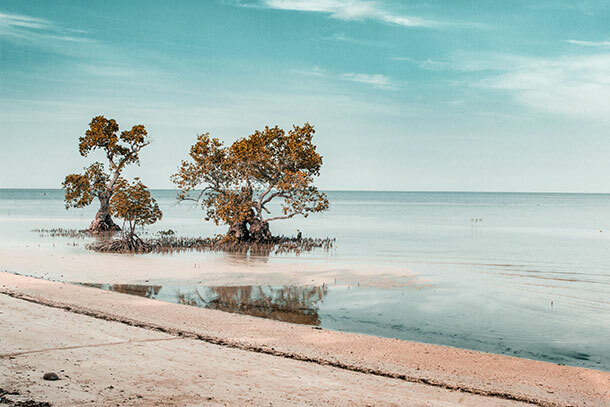 View of what is considered to be the oldest mangrove in Siquijor. This is just along the highway and can be easily spotted when you pass by. 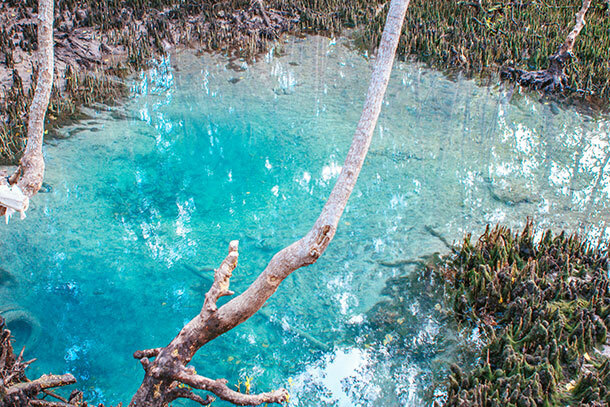 Water sources at the Guiwanon Spring Park. I’m not really an expert here, but we saw water bubbling from a certain spot at the bottom which we believe is a water source of some sort. 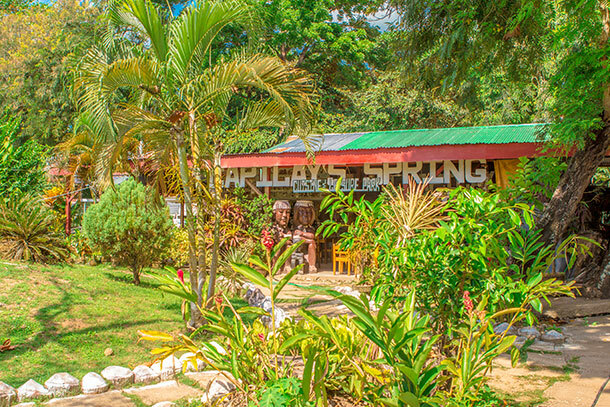 A cottage at the Guiwanon Spring Park. From what I heard, they allow studies and events here. Sunset at the Paliton Beach. Despite not seeing the sun actually set (as there were clouds covering it), we still were given this wonderful view. 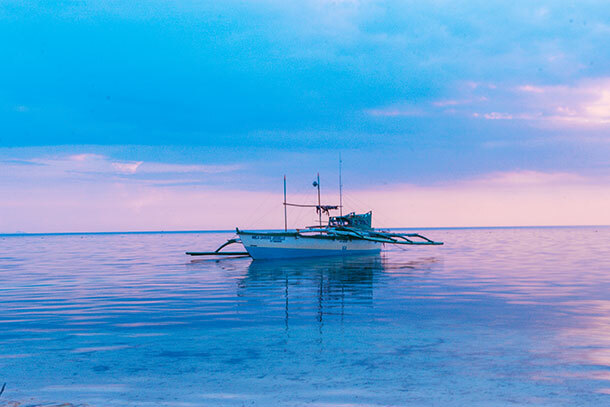 Small boat anchored at the Paliton Beach. I love how calm the water is. The water is very tempting to swim in! 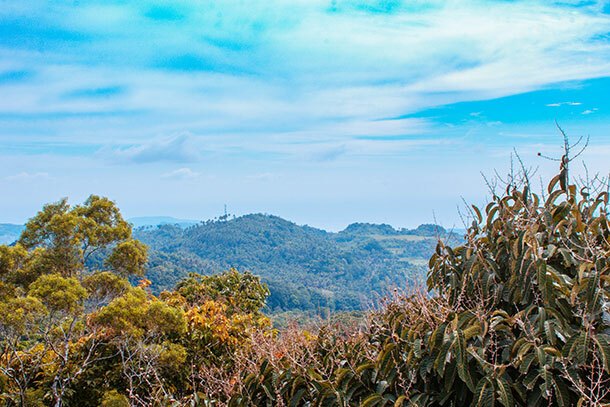 View from the watch tower at the Mount Bandilaan Watch Tower when we tried the Siquijor Mountain Tour. 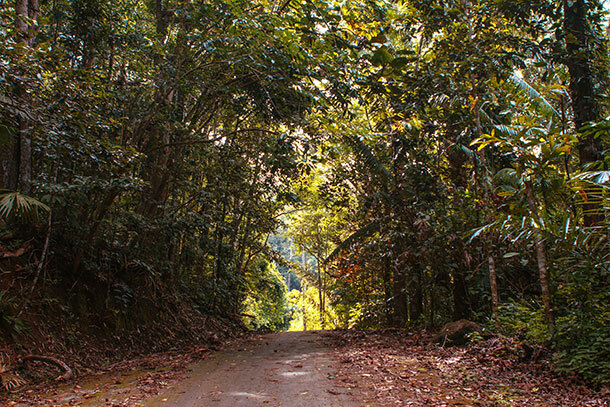 Canopy of trees at Mount Bandilaan. This is at the bottom of the trail to the Peak. Beach right outside the guesthouse we were staying in. Bell Tower at the St. Francis Assisi Church that was currently being renovated. 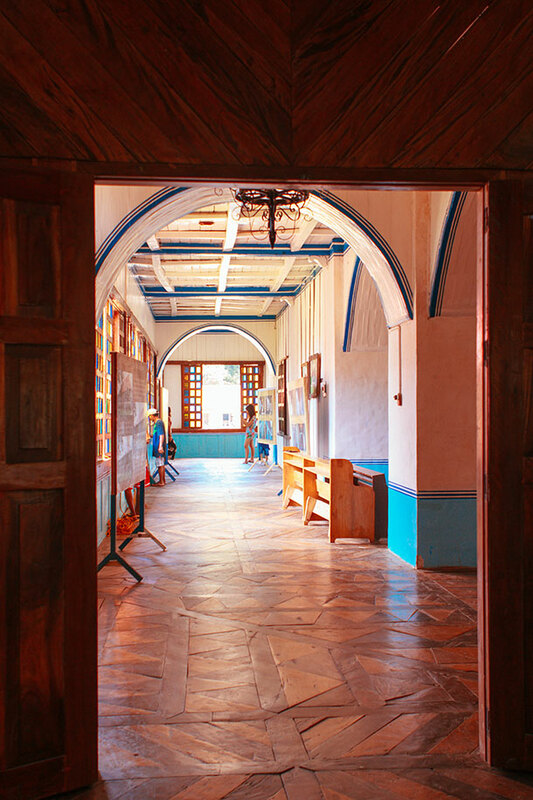 I hope you enjoyed that virtual tour of Siquijor and what you’ll be missing when you don’t visit. 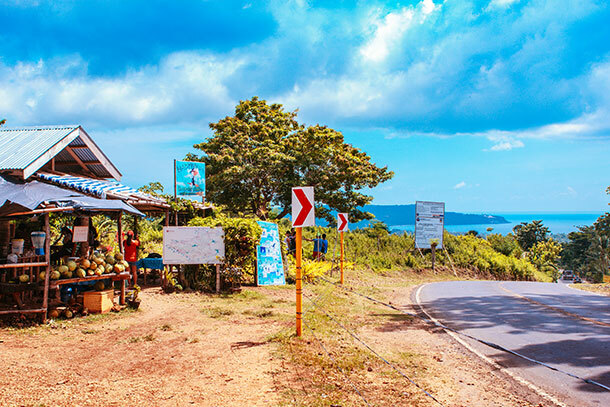 The island is small that you can definitely visit it in a day. But if you have plenty of time, spend more here and for sure you’ll be enchanted! 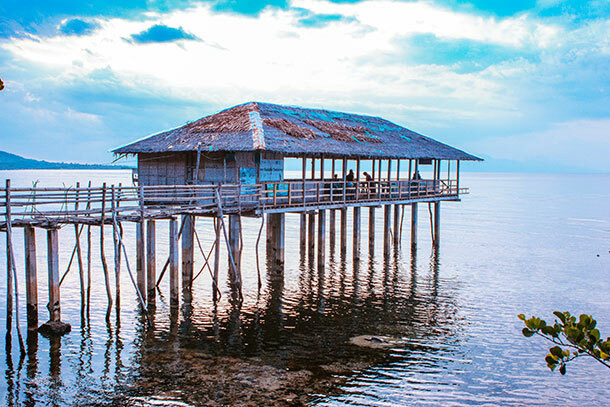 Have you visited this part of the Philippines, yet? 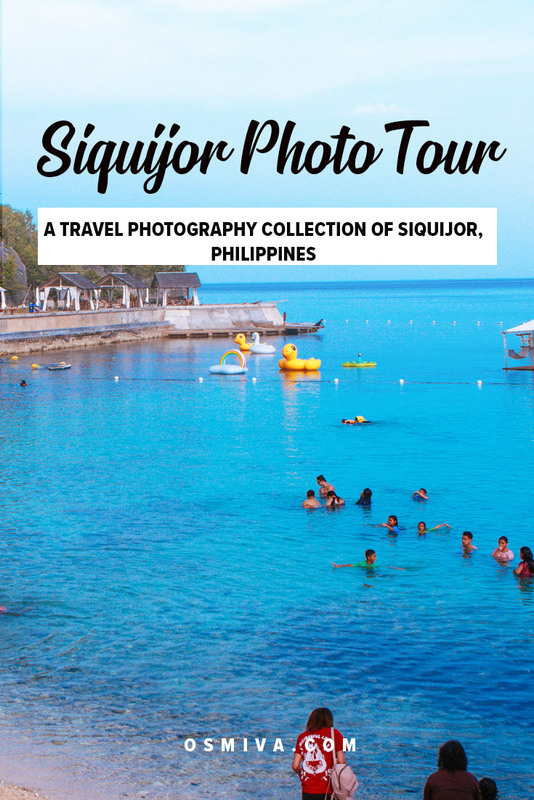 Thank you for featuring Siquijor Island. It’s a very good place for vacation, indeed! 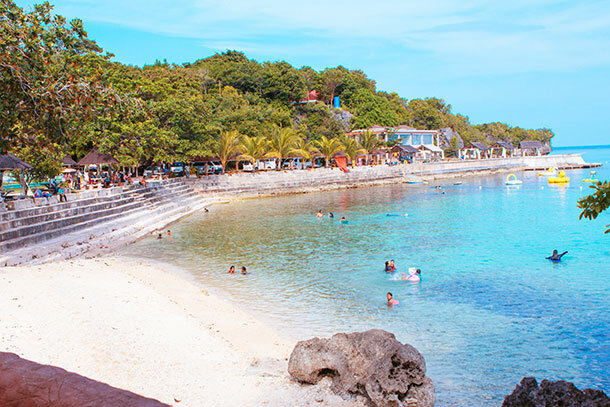 I should know because I was born in Talingting (Enrique Villanueva), the smallest town in Siquijor.